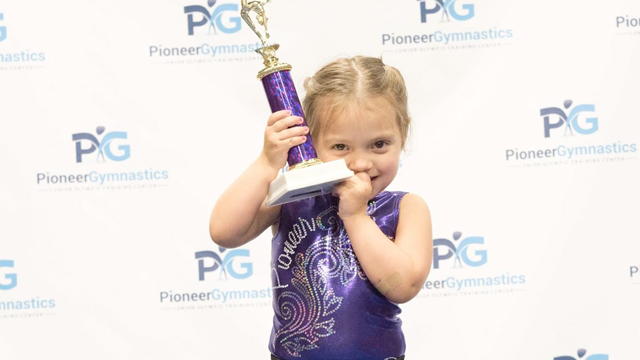 Our preschool gymnastics classes are designed with the needs of the preschooler in mind. 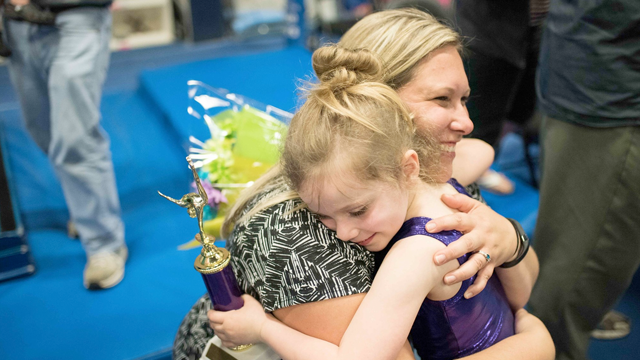 Participation in a preschool gymnastics class is an opportunity for children to begin experiencing gymnastics without the help of parents. Your child will begin to learn and master skills at this level. 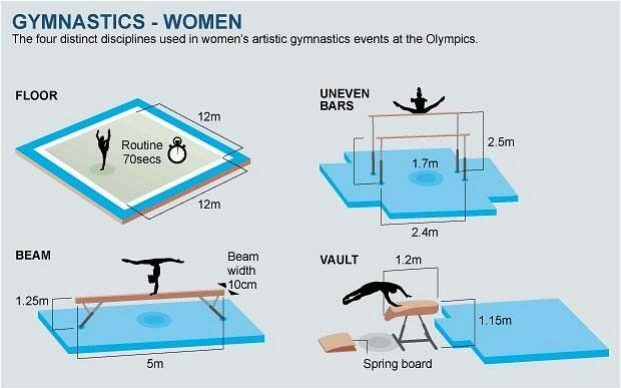 They will be introduced to all 4 Olympic events (Beam, Bars, Floor and Vault). 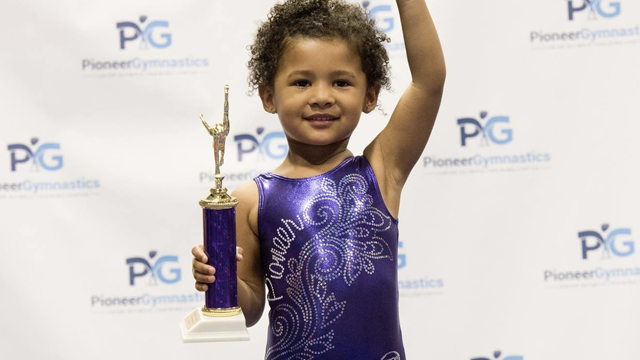 Gymnastics is one of the best sports for toddlers to be involved in – along with developing your child’s gymnastics skills and physical fitness, our preschool gymnastics program will also help build a strong foundation for your child to develop discipline, a sense of athletic achievement, self-esteem and social skills that will last a lifetime! 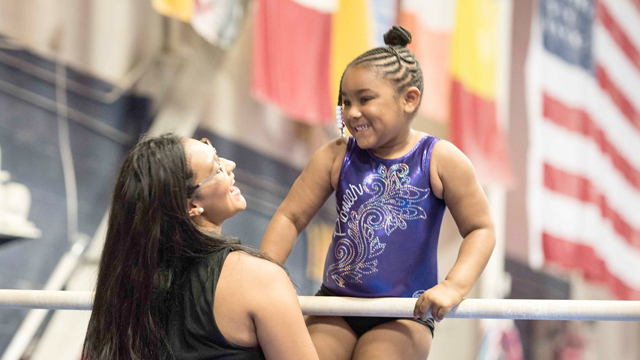 Participation in organized sports provides an opportunity for toddlers to increase their physical activity and develop physical and social skills. This will help prepare them for all other sports or activities they will participate in. The ability to learn new skills and understand new concepts will help them begin to make sense of current events, solve problems and steadily improve memory. Toddlers will begin to interpret the meanings of their experiences. Their vivid imagination will start to take place. Locomotor skills are the basic ways to move, the building blocks of coordination. 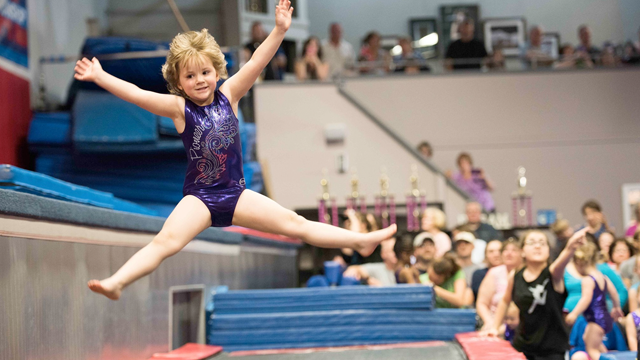 Locomotor activities occur frequently in gymnastics such as running, skipping, hopping, jumping and landing. Gymnastics class helps develop all of these locomotions. The Mini Stars program is held in our Main gym that has the same equipment as you see on TV. FLOOR: Your child will work on the floor with obstacle courses, stretching and tumbling skills and drills. 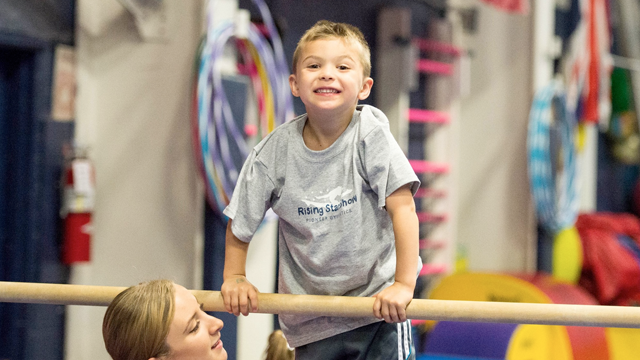 BARS: Your child will work on the low bar on the Uneven bars and different drills surrounding the bars. BEAM: We have low beams and high beams your child will work on as well as drills on them through circuits. 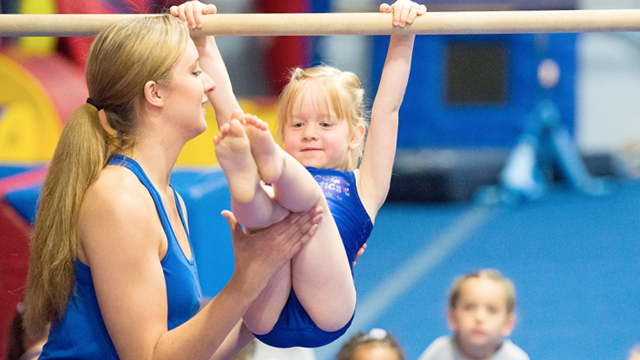 VAULT: Your child will being to work on vault drills on a soft vault before moving to the olympic vault! Kierstyn is the Tiny & Mini Star Program Leader and instructs in both programs. She designs and develops the progressive curriculum and themes for both programs to make it an easy transition for children. The tiny stars program has 26 themes per year and changes every 2 weeks. 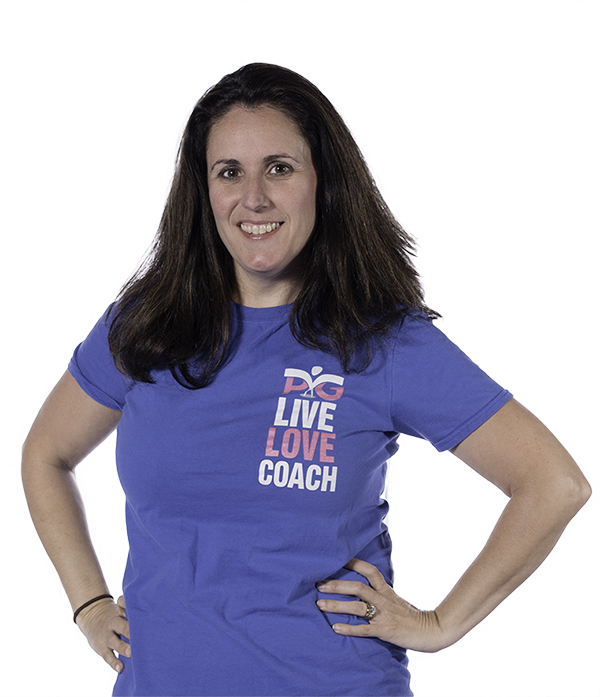 All skills needed to move to the Mini Stars program are taught in this curriculum. When she isn’t working, Kierstyn loves spending time with her twin daughters and husband. At this age shorts & t-shirt are perfectly fine. Leotards are also an option and available for purchase in our pro-shop! 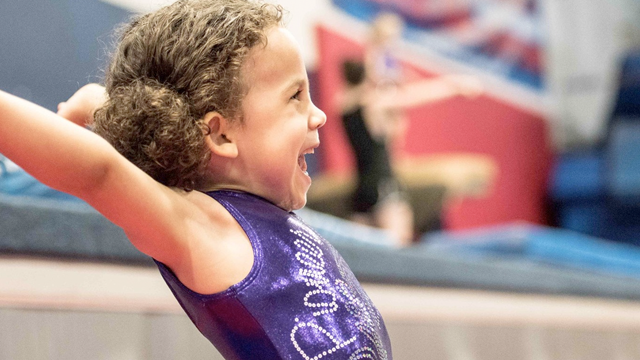 Your Child will experience thrilling moments in the gym which range from rolling on mats to playing group parachute games. Their experience on the gymnastics apparatus is normally in the form of obstacle courses. The tots are encouraged to climb, crawl, and jump from station to station. The objectives at each station are basic motor patterns and therefore, simple to complete. Tot and parent share all of this excitement as they work through each class as partners. Yes. Our viewing area has a Birdseye view of the gym. Do parents participate in this class? No. Our only parent and child class we offer is our Tiny Stars program.